I type this sentence a lot: “It’s been a busy week.” I know you all say it a lot, too. How are you? “So busy!” It’s the worst, right?! I’ve grown to dislike those words so much that there’s a whole blog post sitting in my drafts about how I wish we could all slow down!! 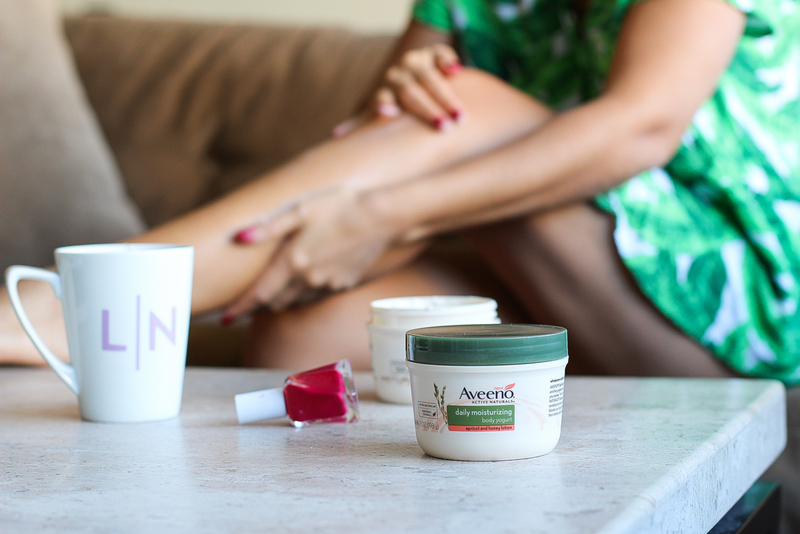 So, today’s post is all about taking time for you – some good old fashioned me time! This past weekend, I wasn’t feeling well, so I laid low and forced myself to take care of myself. Don’t get me wrong – I pride myself on being good to my body by exercising, going to yoga, eating well, etc. But resting? 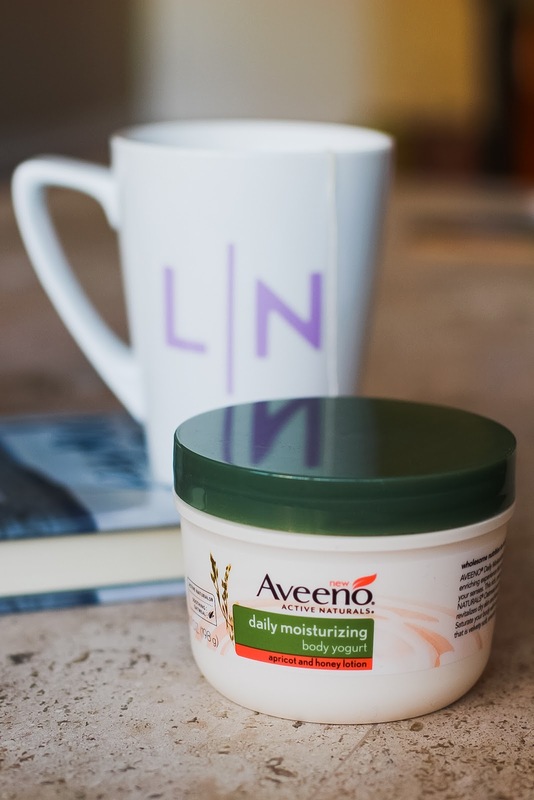 That’s not my strong suit… and it felt SO good to stay in PJs well into the day, enjoy a hot cup of tea, read a book, and take care of my skin with Aveeno’s New Daily Moisturizing Body Yogurt Collection! This stuff is such an upgrade from my usual skincare routine. 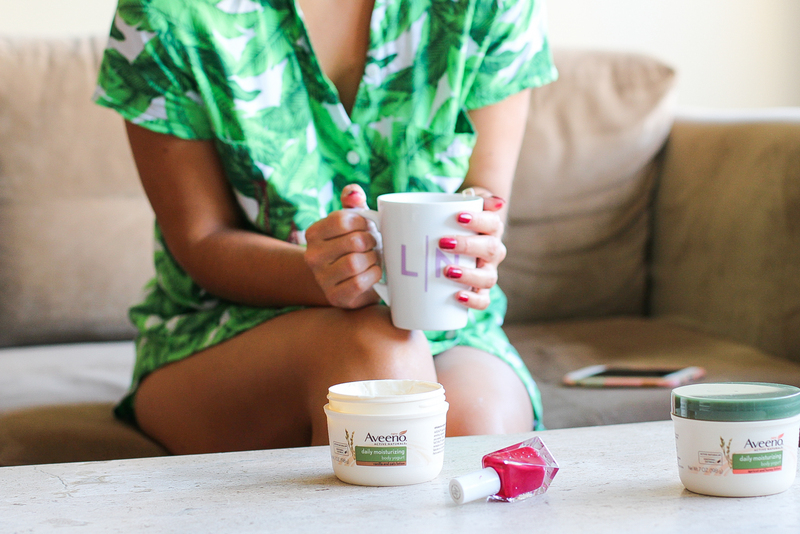 Whenever the weather changes, my skin gets so dry that I’m constantly putting lotion on – but this body yogurt keeps me hydrated for up to 48 hours. It also feels and smells luxurious – yes, luxurious is the word that came to mind 😉 I mean, Vanilla & Oats and Apricot & Honey?! I honestly don’t know which scent I like more! 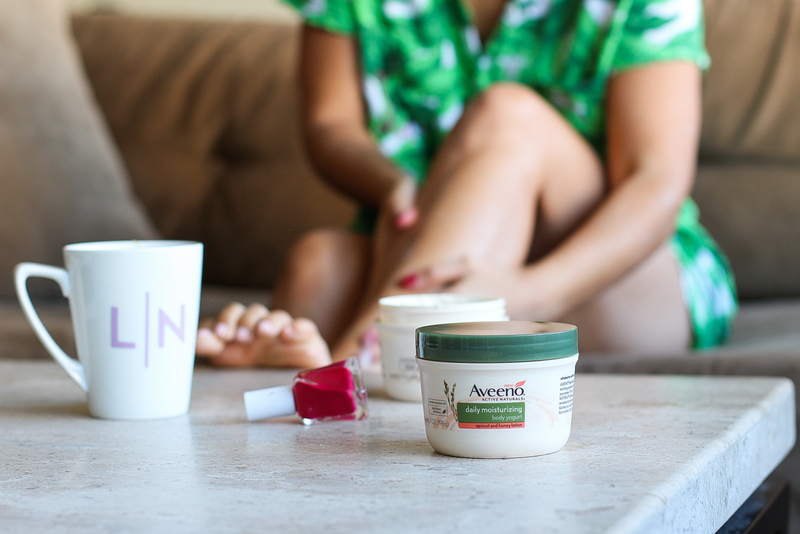 And even if you don’t have time to hang in your PJs all morning, the formula that Aveeno uses is filled with vitamins and proteins that are also found in rich yogurt, which revitalizes dry skin quickly and effectively. They also have new body washes that are super moisturizing… and just like the others, they smell ah-mazing, too. Bring it on, winter! And as if these products couldn’t get any better, they also happen to be super affordable and all of them are available at your local Target or on Target.com. Effective, affordable AND convenient. Oh yeaaaa. One of my favorite ways to unwind in the fall is with a cozy cup of hot tea. 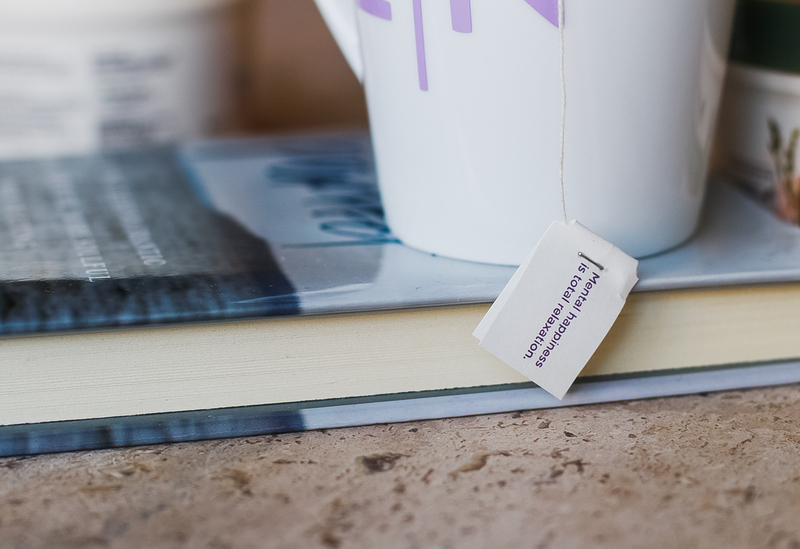 I usually grab Yogi Tea because I love the quotes on their tea bags. The day I shot this post, I got “Mental happiness is total relaxation.” How perfect?! 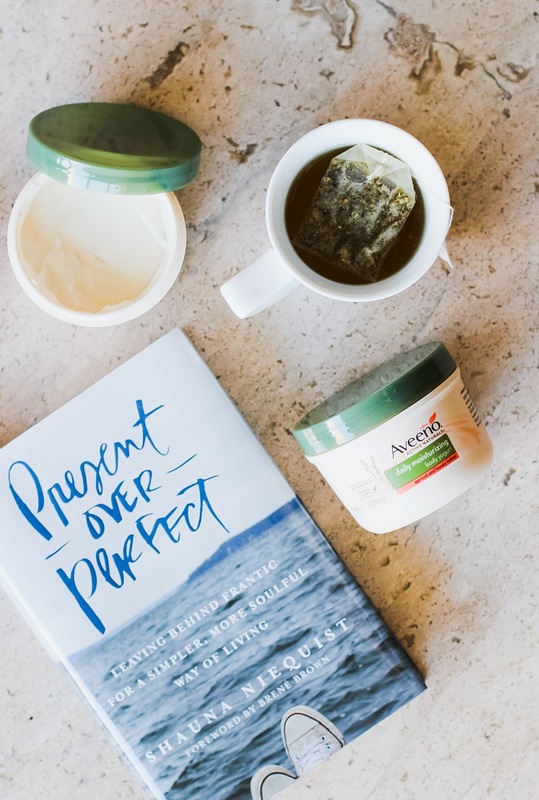 Need some of these products for yourself?! Shop em below! 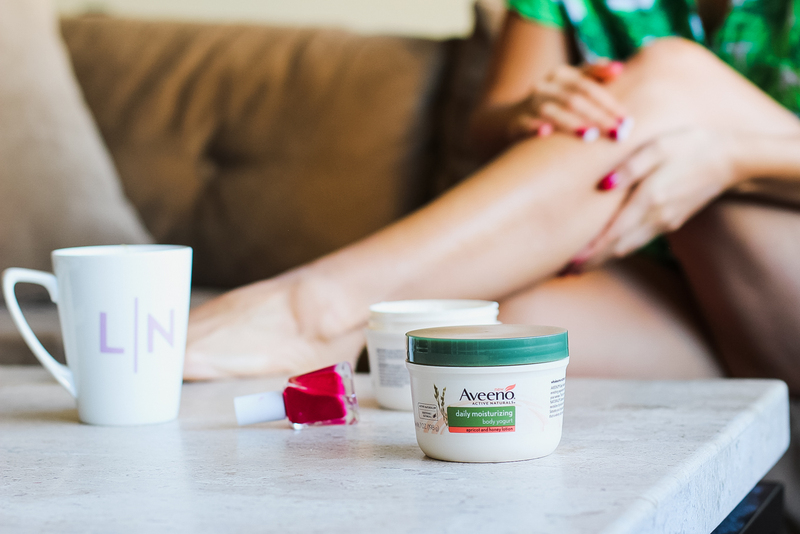 *This post was sponsored by Aveeno, but (as always) all opinions are my own! Thank you so much for supporting the companies that make Lake Shore Lady possible! There isn't anything I don't love about this post! Thanks for the recommendation for the lotion. Those scents sound amazing and I can't wait to give it a try!